To rescue dry, itchy, flaky skin, Icelandic born rå oils uses a concoction of 100% pure, high-quality oils, which nourish and soften irresistibly. Thanks to calming evening primrose oil, moisturising argan oil and protective vitamin E, this blend hydrates and heals even cracked and scaly skin (it’s been shown to ease eczema and psoriasis), trading redness and irritation for a gorgeous, healthy glow. 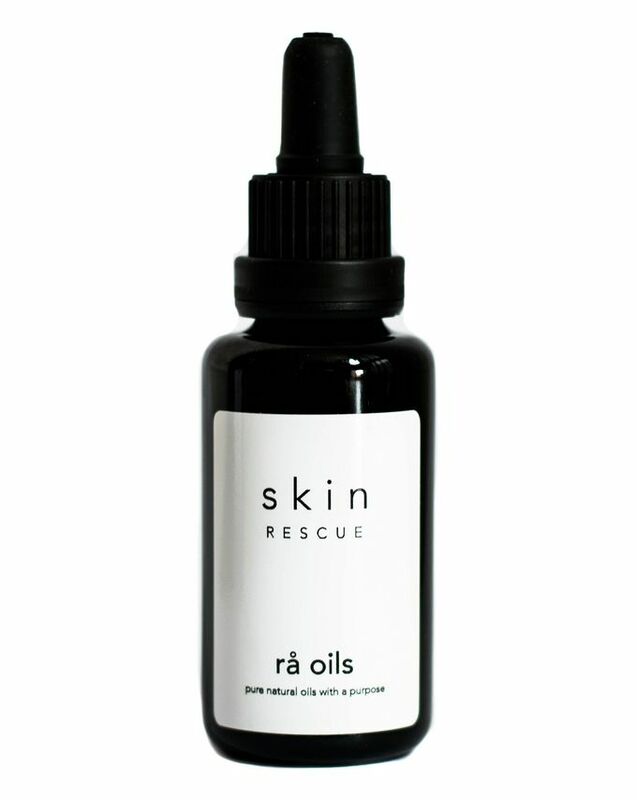 Vegan-friendly and encased in chic, eco-friendly packaging, rå oils achieves the perfect Nordic aesthetic – and delivers the results to match. After cleansing and toning (we recommend our pure organic rose floral water), gently massage a small amount over face, neck and chest, and other affected areas of the skin minimum twice a day, or as often as needed. *Carthamus tinctorius (Safflower) Oil, *Argania spinosa (Argan) Kernel Oil, *Oenothera biennis (Evening Primrose) Oil, Tocopheryl acetate (Vitamin E), **Commiphora myrrha (Myrrh) Resin Oil, **Lavandula hybrida grosso (Lavendin) Herb Oil, **Anthemis nobilis (Chamomile) Flower Oil, ***Geraniol, ***Linalool, ***Limonene, ***Citronellol.